Appliances: Owner willing to provide Refrigerator, washer/dryer if tenant does not have these items. 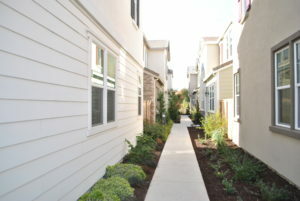 Absolutely gorgeous BRAND new solar home in Folsom located in the Granite trails at Parkshore. This two story home has every upgrade imaginable in one of Folsom’s best areas! The Parkshore community has a pool to enjoy with the family, walking and biking trails and very close proximity to shopping, dinning and entertainment. This energy efficient home has large raised ceilings, a beautiful gourmet kitchen with beautiful center island with breakfast bar and upgraded stainless steel appliances. Being a solar home you will have lower energy costs which will keep your overall housing budget much more affordable compared to renting a home without solar. The kitchen opens up to the cozy family room with raised ceilings and views of the backyard area which will have stamped concrete installed in the coming weeks. Downstairs there is a full bedroom and bathroom and upstairs there are 3 additional bedrooms with 2 more full bathrooms. The master bathroom has a large shower and separate soaking tub plus a huge walk in closet off of the bathroom area. The bathrooms have been upgraded with beautiful corian countertops and upgraded cabinetry.